Did you know what you eat can influence the way you feel? When you're stressed, angry or blue it's all too easy to indulge in comfort foods but this does NOTHING to help your mood (or your waistline for that matter). 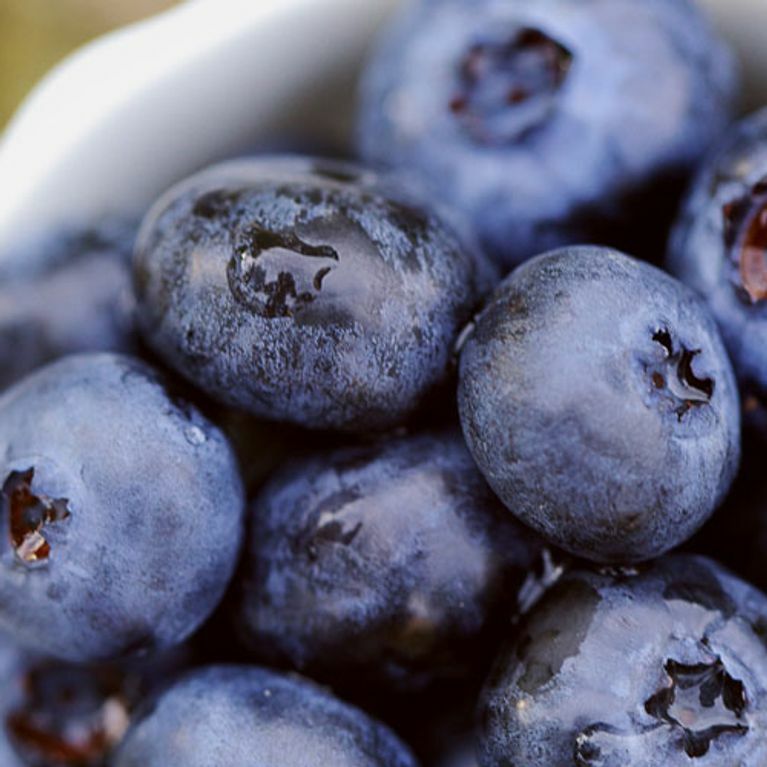 So next time you're feeling the heat, munch on these calming foods - they might just save your day. Here are the 10 best zen foods to get some inner 'ohmm'. You've no doubt heard the saying, 'You are what you eat', but have you ever thought about how it makes you feel from the inside out? ​Binging on junk foods such as biscuits and crisps is unlikely to help get you out of that emotional rut. ​Not only do they contain little-to-no nutrients, their high sugar and fat content sends you flying from a high to a crash; ending in you feeling even MORE tired and lousy than before. Ladies, we say it's time for change. So we got chatting to Nutritionist, Sally Wisbey to tell us everything we need to know about zen-loving foods. If you're feeling the heat of a deadline or stressed out about a project at work, keep a packet of almonds by your desk. Almonds are a rich source of magnesium - one of the most critical minerals for coping with tension. Sally says, "Magnesium plays a large part in helping to relax the nervous system. When stressed our nerve cells fire up and muscles tense, often leading to headaches or migraines so magnesium is important to calm the nervous system and relax the muscles." Get crunching on those almonds girls! "B vitamins work together as a team helping to make 'feel good' neurotransmitters and boost mood. Avocados are also high in monounsaturated fats which help regulate blood pressure which can be caused by stress," says Sally. For healthy nerve and brain cells why not have an avocado with tuna for lunch? It's super nutritious and also delicious! Swiss chard is another miracle food helping us de-stress. It's high content of magnesium, AKA the 'anti-stress mineral' helps your brain function better, get rid of stress and reduce fatigue. Sally says, "This leafy green vegetable is often under rated but it's loaded with magnesium to help keep calm. It's also packed full of vitamins C and E which help reduce oxidative stress that can lead to heart disease." To reap the benefits use more swiss chard in your diet by steaming, sautéing or throwing into salads and soups. We promise, you won't regret it. It's true, a bowl of porridge CAN help relieve stress! Why? Its whole-grain source of carbohydrates help promote serotonin flow, the 'soothing' hormone that helps us relax. When buying oats, make sure to buy organic rolled oats as other brands are usually chock-full of sugar and other additives making it less effective overall. Asparagus is an excellent source of fibre, folic acid and a series of B vitamins which can help ease stress levels in the brain by working with brain production and neurotransmitters. "It is also a good source of tryptophan, an amino acid involved in making the hormone serotonin which is important for good mood," says Sally. To get the most out of your spears steam, chargrill or stir-fry. Eat as a side or on it's own! Try wrapping them up in prosciutto - the taste is out of this world. According to the British Blackcurrant Foundation research from all over the world indicates that blackcurrants have "proven values against the three main stress inputs to the human body: dietary stress, physical stress (especially sport related) and mental stress." Making it one of our top picks for reducing stress. This is mainly down to the fact that blackcurrants are enriched in antioxidants called 'anthocyanins', which can help you focus better, reduce fatigue and ease stress. ​While it's good for mental stress, it can do a whole lot for your body too. Research found that blackcurrants can lower lactate accumulation in athletes which is known to limit their performance if not managed properly. If you find yourself in a stress try popping one of Rescue's soothing blackcurrant pastilles. The combination of flower essences like Star of Bethlehem, Clematis, Impatiens, Rock Rose and Cherry Plum, work to provide you with a moment of calm in the midst of a busy day. And even better, it's suitable for vegans! Ever wondered why a roasts dinner makes you feel so darn good? It's likely because turkey contains an amino acid called L-tryptohan that works to help stimulate serotonin, the 'feel good' hormone in your brain. If you tend to feel sleepy after a roast, this is why! Native in Bolivia, Peru and the Andes, Maca originates from the radish family and has been used in ancient medicine for thousands of years. Apart from its aphrodisiac qualities, maca is an excellent source for increasing energy and reducing stress (athletes even use it!). Maca root is an adaptogen which is a herb that is known to help the nervous system cope with stress without overstimulating the body like caffeine and sugar. You can take maca powder in root, powder and capsule form. Try to add in your morning smoothies or porridge for a daily fix. Or alternatively, you can dissolve it in hot water and lemon for an immediate pick-me-up first thing in the morning. Our relationship with chocolate is bittersweet but now there's really NO reason to quit! Eating a few squares a day really does have its health benefits! "A few squares of dark chocolate is thought to reduce levels of the stress hormone cortisol and other hormones that are related to stress and anxiety," says Sally. "​Chocolate is also rich in antioxidants known as flavanoids which are thought to help relax blood pressure and lower bad cholesterol." In order to reap the rewards make sure you buy dark chocolate that's at least 70% cocoa. There's no harm in indulging once in a while! When it comes to relaxation, tea is great for healing and promoting calm. Sally says, "Herbal teas such as chamomile can be pleasant and calming to drink. However, green tea is an exception to the rule when it comes to no caffeine as it is supposedly richer in anti-oxidants than other types of tea because of the way it's processed." Sipping a hot mug of nourishing tea like these first thing in the morning or just before bed is a great way to warm the heart and ease stress. Get brewing gals! What foods do you munch on to beat stress? Tweet us @sofeminineUK!